Ontario Hockey League, better known as “that place where Connor McDavid plays.” Brendan Ross from McKeen’s Hockey was kind enough to join us and chat OHL. top end with McDavid, Strome and Marner the best we’ve potentially ever seen? certainly one of the best groups that I had the priviledge of watching. top speed in one (or two) quick strides. Connor does it in a half step. guaranteed to see him do something special every time he steps on the ice. you handicap that race? Is one clearly superior to the other in your eyes? finishing off the regular season with an offensive surge liked that just skyrocketed his stock. he exceeded my high expectations and absolutely stole the show this season. especially once he matures into his frame. as comfortable second line options. scoring and draft ranking. How do you view Crouse? it’s more pronounced in traffic) and the smarts to operate as a support player. In a lot of ways he could become a less-nasty Milan Lucic type of player. still managed to break twine 29 times contributing 15% of the Frontenacs goals. draft – would be good fits in Cowtown with picks 45, 52 and 53? Travis Dermott, Barrie’s Rasmus Andersson and Niagara’s Vince Dunn. Dermott could play a similar style as Duncan Keith does. a lot of limitations in his mobility, especially in transitions and pivots. disengaged if he’s not in possession. than he showed this past season as well. project which Ontario league options will remain available past the 2nd. comfortable placing them as early to mid third round prospects at this point. improve his footwork to help him create more often off the rush. 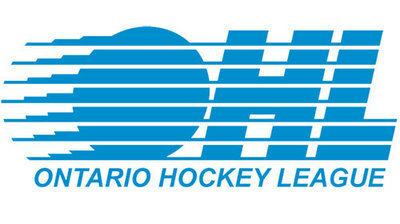 been your most pleasant surprise in the OHL this year? Mitch Marner, Zach Senyshyn has been the biggest revelation for me personally. expectations…including the Soo coaching staff. lethal threat to go along with his excellent shot release. including Hunter Smith in the 2nd round last year to the Flames, and Tanner Pearson to L.A.
second or third time around? tough winger with decent skill who should get some looks. offensive game to go with an already advanced defensive presence. an NHL pick and that’s evident by his superb play at the Memorial Cup. was your personal favorite draft eligible prospect this season and why? the draft. He’s one of the most knowledgeable OHL guys you’ll find, and you can maybe pester him with Hunter Smith questions. Lot’s to process here.. this looks more and more like the deep draft it has been touted as. On McDavid.. I’ve heard his shot is lacking a bit.. which is a weapon that Crosby has always had. Anyone else hear that as his only “flaw”. My understanding is that his shot is rated as ‘above average’. Might be the only thing about him that isn’t ‘elite’. Seems like lots of good potential players that could turn into strong NHL players. Perhaps we can turn a few of our excess prospects/vets into 2-3 more picks in the first three rounds? Hot damn. What’s not to love about these Scout Series articles? Flames-centric draft predictions and first-hand knowledge of the players. I wouldn’t hate it if the Flames drafted Konecny. A Bennett/Konecny line is drool-worthy. It would force Kevin Bieksa’s retirement, make him regret his hockey career and second guess his existence. I’m telling you Travis Konecny and Sam Bennett on the same line would dominate. The compete level would be through the roof. Konecny and or Merkley would both be great fits on Sam’s line. The other guy I can’t get out of my head is Daniel Sprong. I know Corey Pronman is really high on him to. To read his write up you’d think this is a top ten pick. Flames would’ve had a good look at him to, scouting McDonald. Daniel Sprong is a selfish “me first type” that constantly hung his team out to dry this season and was only playing to get noticed by scouts. Considering that the Flames look seriously at character when taking someone I highly doubt we draft Sprong. Don’t get me wrong he has all the offensive talent in the world, but doesn’t fit into our system. Sprong was -23 this season on a team that made the second round of the playoffs…. Nuff said. Sorry to be so harsh. I also was able to see Sprong all season on Sportsnets Draft Year where he just talked about himself every episode, no way he get past our interview process at the combine. Konecny would be a great pick for the flames. Him and Bennett would be a great pair! Thoughts on trading Grandlund and a 3rd for Minnys first. That’s a trade that would get a GM fired. I really hope the Flames can land Vince Dunn with one of our second rounders. Watching him at the Top Prospects he can flat out fly, easily one of the best skaters I watched all season. Reminds me of a young Tyson Barrie. Soooooo glad Lawson Crouse is going to go way too high for us!!!! He has bust written all over him, watched him at the U18 Summer Camp this summer, he looks like he has all the tools in the world, but he came away with only one goal in three scrimmages, zero finish (unless he is playing with Bennett). Crouses Hockey IQ is just not good enough to be a Top. 6 forward at the next level. I would give him a 20% chance that he ends up as the next Ryan Getzlaf and 80% chance he ends up as the Wayne Simmons or Lance Bouma type (not what I want out of a Top. 10 pick). Give me Jansen Harkins anyday over Crouse (still growing, elite two-way game). Wish we took Andrew Mangiapane last season as he was a sleeper on this same thread. I like the look of Zach Senyshyn as a second rounder as well playing on the stacked Sault Ste. Marie Greyhounds, he came on late and would have had more points if ice time wasn’t limited on their loaded roster. No Travis Konecy if we are going for an undersized forward its Merkdadey all the way!! Konecy just doesn’t have the frame Merkley does to hang on through contact at the next level. I know this is the OHL thread but considering they don’t have a first rounder worthy of our 15th pick range (unless we move up or get another first, doubtful), I just want to say if we take a defenseman with our first rounder I really really hope we take Thomas Chabot he reminds me of this years Travis Sanheim, whose game kind of came out of nowhere in the second half this year and he was fantastic for Canada at the U18s. He could end up being one of the best defenders from this class a year or two down the road and like Sanheim I think Chabot goes much higher than where most people have him on their boards.